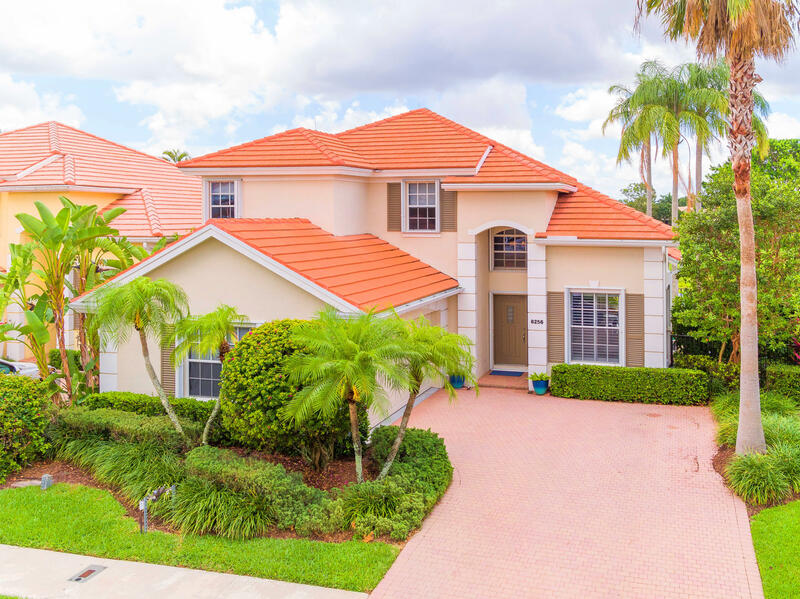 Spectacular golf & lake views from this wide-open, luxurious, meticulously kept 4BR/21/2BA home located on a double lot and within walking distance to the clubhouse in the exclusive and private community of Heritage Club at Ibis Golf & Country Club. This CBS home has impressive Mediterranean design appeal and features soaring 2-story ceilings, huge windows and sliding glass doors, plantation shutters, a 1st-floor master suite with 3 bedrooms upstairs, a gorgeous 2014 pool surrounded by a huge Travertine marble patio, and an updated gourmet kitchen with newer stainless steel appliances. If you're looking for the ideal Florida outdoor experience, you've found it! Rarely does a home at this price point offer this level of experience. All newer major appliances and a 2014 roof. Membership Req.